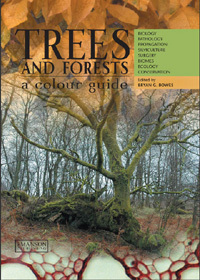 This book aims to give the reader an overview and understanding of trees. Subject areas covered include ecology and conservation, tree anatomy and evolution, pathology, silviculture, propagation and surgery. The different chapters cover trees from various world habitats, from northern boreal and montane coniferous forests to tropical and subtropical rainforests. The book is fully illustrated throughout with the highest quality colour photos. It will be useful to professionals and students in plant science, plant biology, ecology, conservation and to those working in forestry and arboriculture.